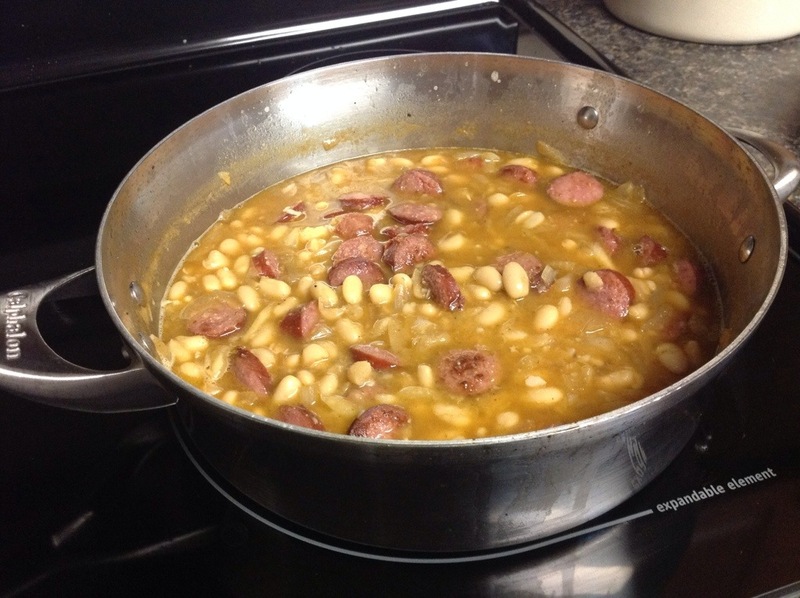 I love white bean and ham soup, although my husband doesn’t care for ham too much, so this recipe appealed to me since it was made with smoked sausage and I could use beef smoked sausage. 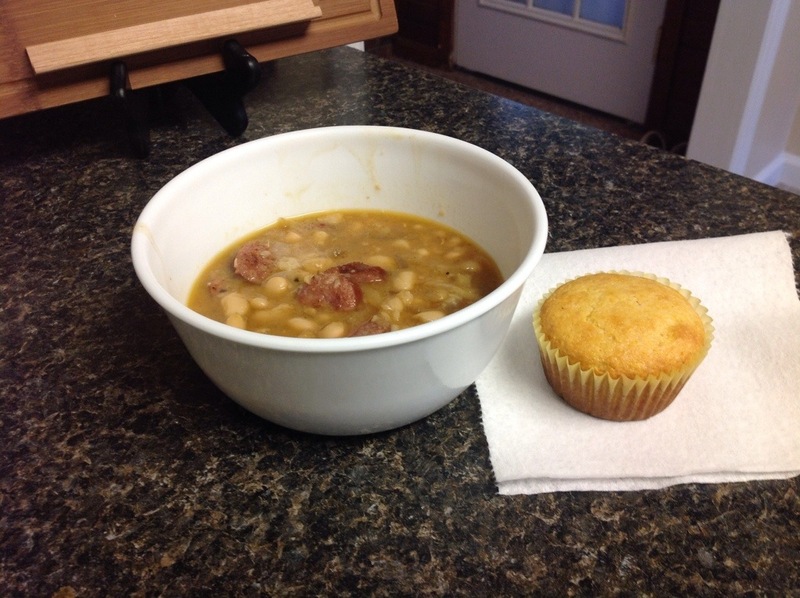 It was delicious and I served it with cornbread with butter and honey, yum! Begin by heating up some Olive oil in a large skillet with tall sides. Add in the sliced sausage and cook until browned on both sides. Remove to a paper towel lined plate, set aside. Drain off some of the oil from the pan the sausage cooked in. Pour the chicken broth into the pan and add the garlic. Turn up to medium heat and then reduce to a simmer. Add in the beans, oregano, and diced tomatoes. Then add in the browned sausage and pepper. Taste and adjust the seasoning. 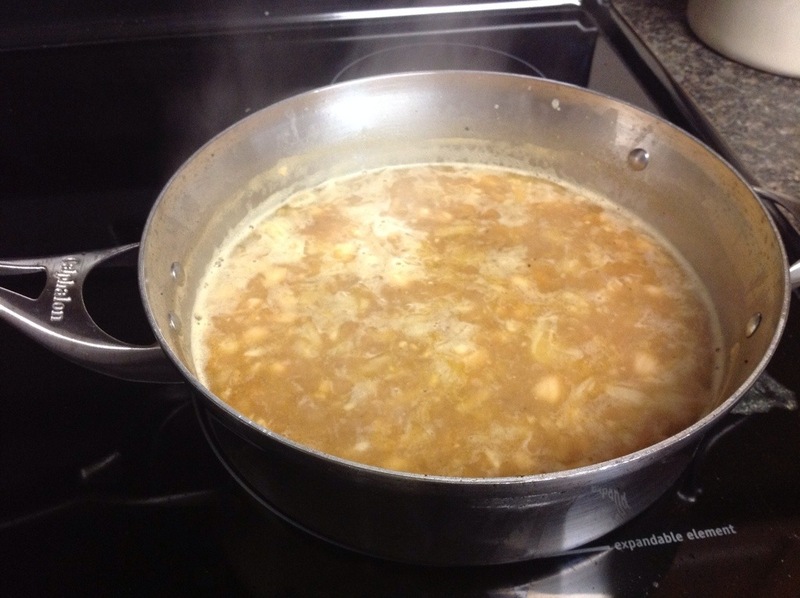 Let the liquid reduce and mash up a few of the beans to make the broth a little thicker. Once the mixture gets to desired thickness, remove from heat and serve with grated Parmesan cheese and cornbread. 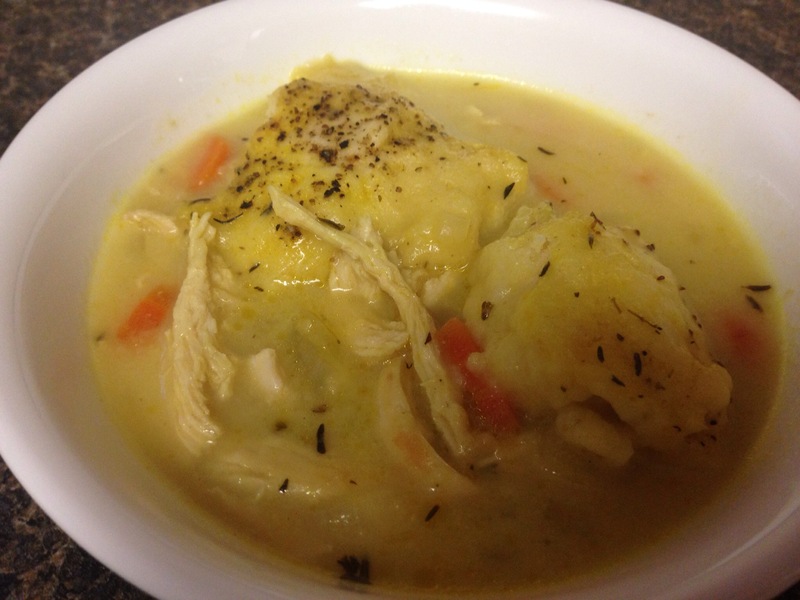 This was my first attempt at making chicken and dumplings and it went over fairly well. This is another Pioneer Woman recipe (I was watching her show the other night and getting all sorts of cooking inspiration) 🙂 I have to say, this recipe did not disappoint! 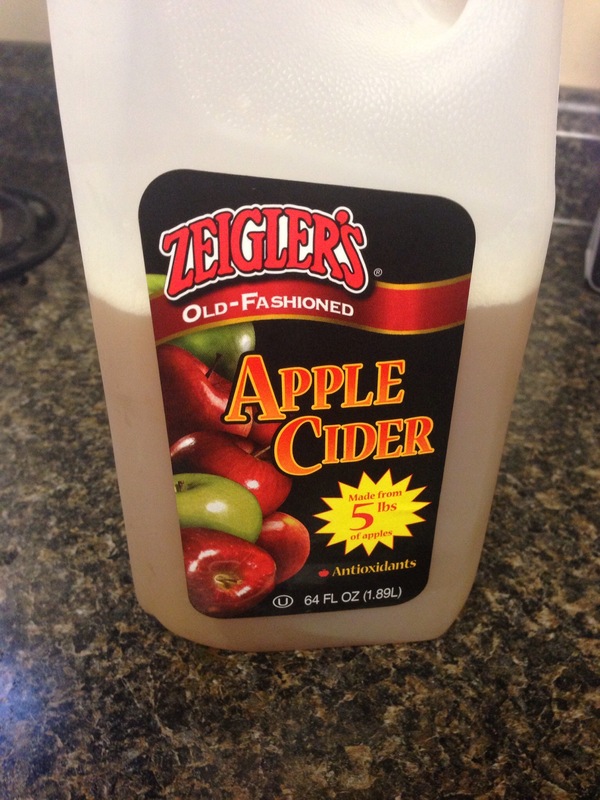 Absolutely perfect for Fall! 🙂 I did make a few of my own adjustments, but it turned out really yummy anyway! 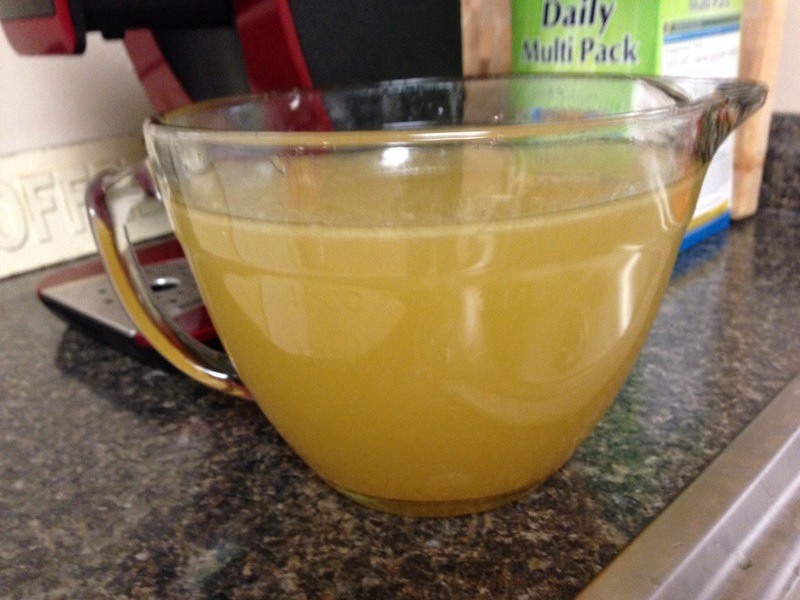 – 1 -2 tsp. celery seed (I used this since I didn’t have celery, would also be a nice added spice at the end). 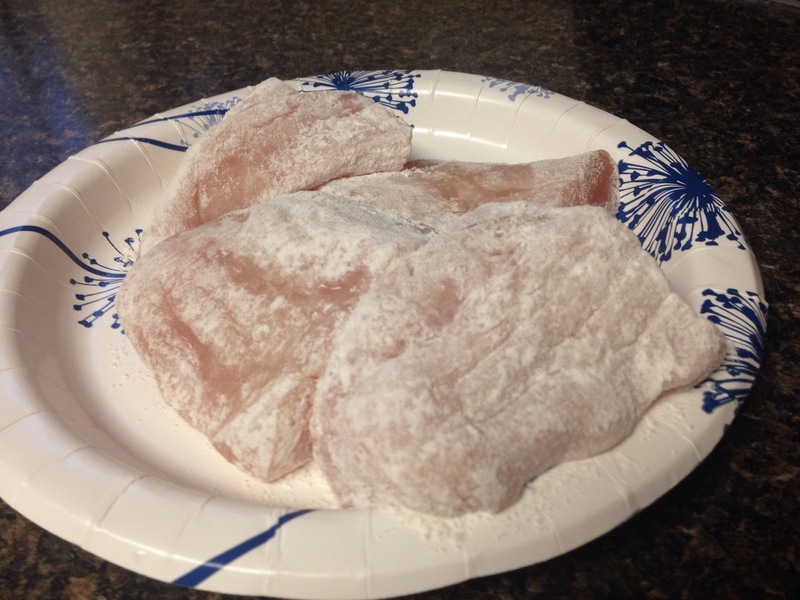 Sprinkle chicken breasts with salt and pepper, then dredge both sides in flour. Set aside. 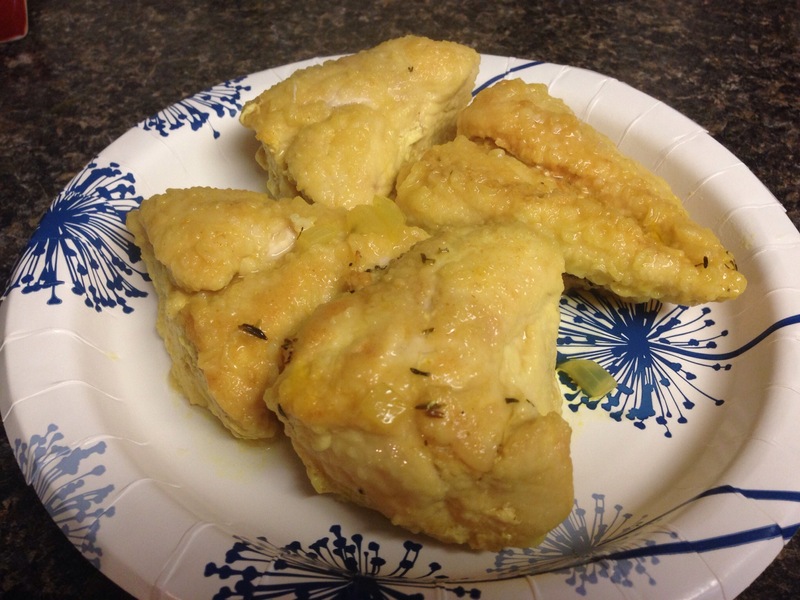 Melt butter in a large skillet with tall sides, and add in your floured chicken. Brown for a few minutes on both sides and then remove to a clean plate. It’s alright if the chicken is not cooked through, it will finish cooking in the stew. In the same skillet, add a couple more tbsp. of butter and add in the diced onions, celery, and carrots. Stir the vegetables and cook for 4-5 minutes over medium low. 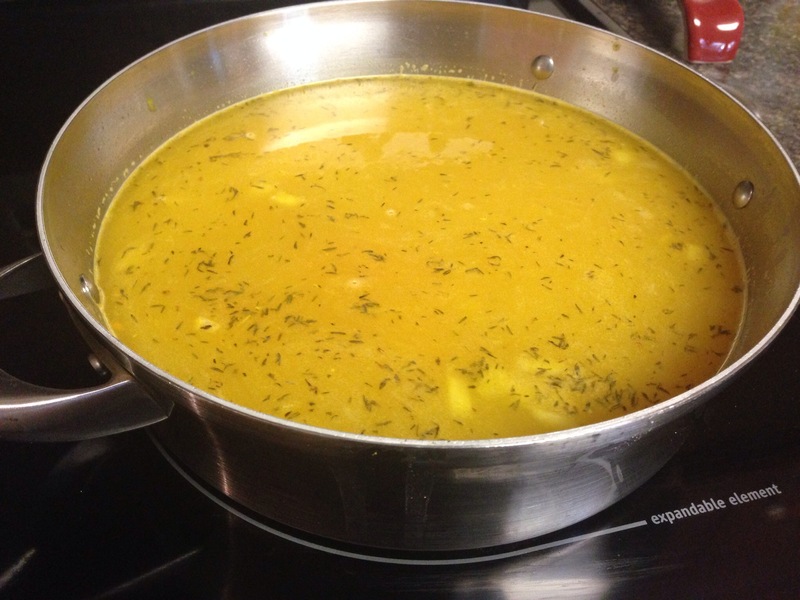 Stir in the thyme and turmeric, and celery seed, then pour in the chicken broth and apple cider. Stir to combine, then add the browned chicken pieces back in. Cover the skillet with a lid and let the mixture simmer for about 20 minutes. While the stew is simmering, make the dumplings. 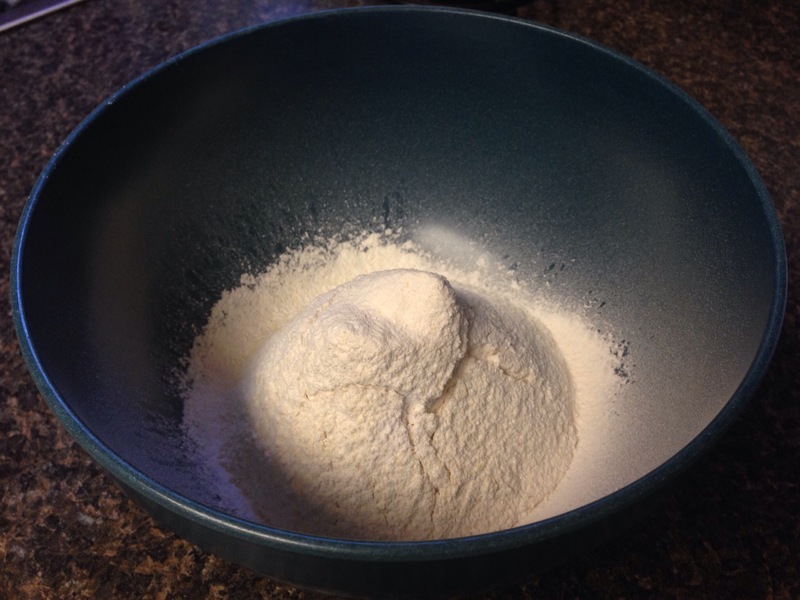 Sift together the flour, salt, cornmeal, and baking powder. Then, add the half and half starting with a cup first. My dumplings were a bit too liquidy with all the milk and I had to add a bit more flour in, so just go slowly at first. You want the dough to be moist, but not overly moist. Set aside. Remove the chicken from the skillet. Let the chicken cool for a few minutes and then shred it with your fingers or two forks usually works ok too. Add the shredded chicken back into the skillet. Pour the heavy cream into the stew and stir to combine. 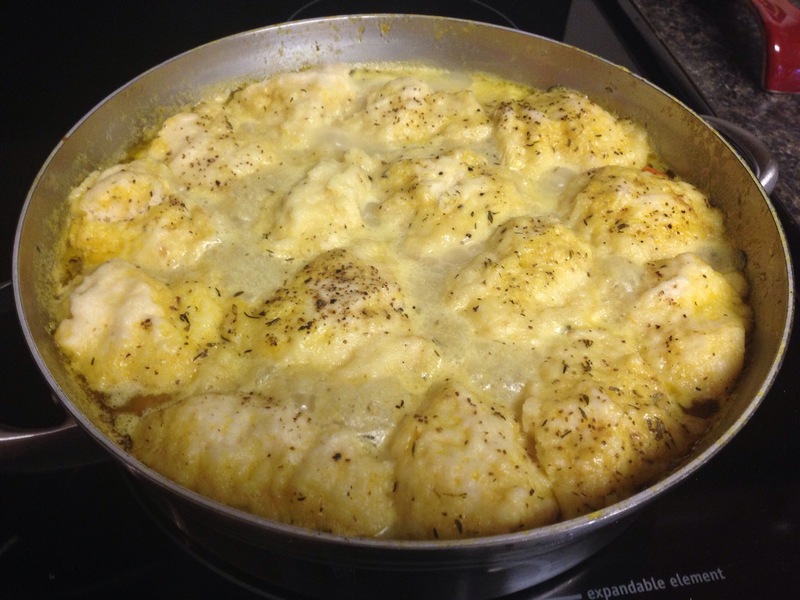 Drop tablespoons of dumpling dough on the top of the simmering stew. You should be able to get about 8-10 good sized dumplings in the pot, more if you’re using a smaller size. Cover the pot back up with the lid and simmer for an additional 15 minutes or until the dumplings are cooked on the inside. To test this, just use a fork and open up one of them, if they aren’t gooey on the inside and are pretty stiff, then they’re finished. Check the seasonings, and add more if needed. Remove from heat, and allow to sit for about 10 minutes before serving. 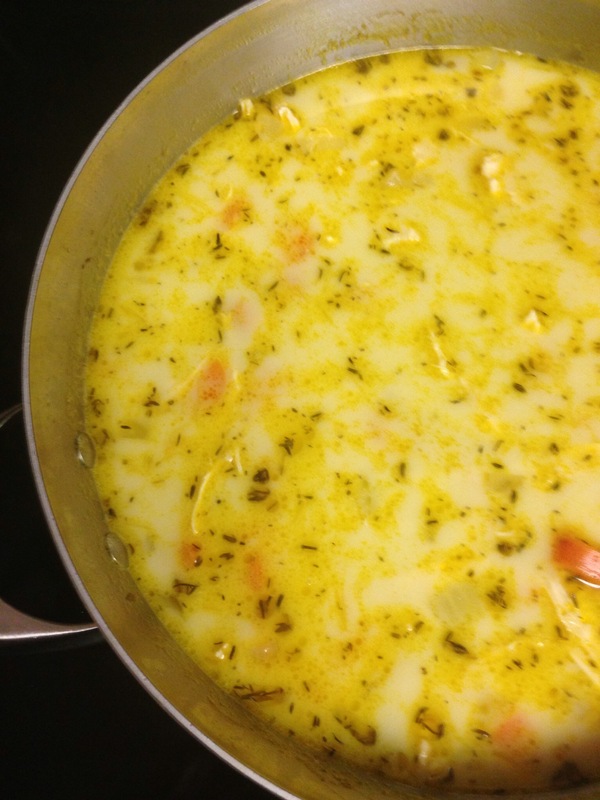 It will be very warm and this gives it a chance to cool off and also for the broth to thicken a bit. Enjoy! Also a winner with my toddler, although she didn’t care for the dumplings too much. However, my husband and I thought the whole dish was really delicious. I love soups! 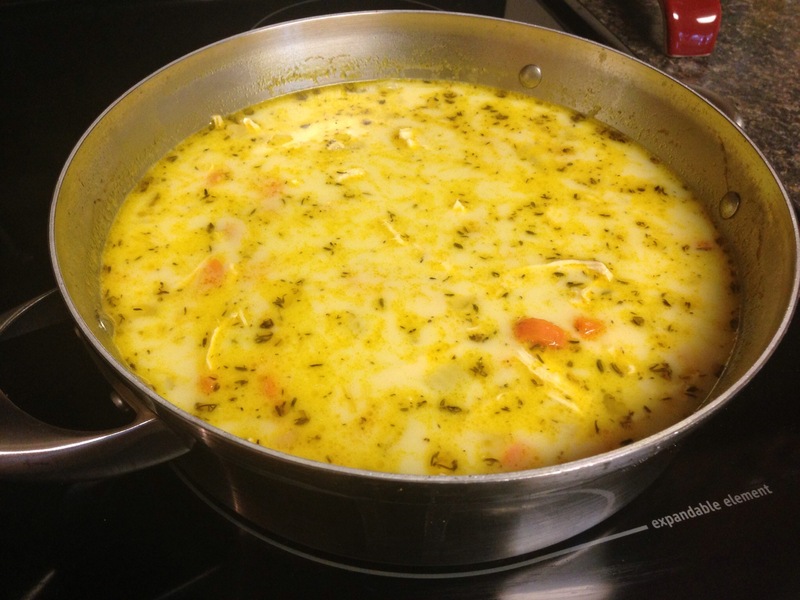 Especially hearty soups with a big piece of cornbread or bread on the side, double yum! This soup really intrigued me because it was something a bit out of the norm for us, and it just looked so yummy too! The only things I would change is the salt content and doubling the recipe! After all three of us eating it for dinner there was only enough for my husband to take to work with him, and I was sad! Haha! The salt I really don’t think is necessary, since you already have the sausage which is naturally salty and the canned beans, even though they are rinsed well. So skip the salt, and you can always just add a little bit to your serving if you feel it needs a bit! * the original recipe called for fresh spinach, about 5 ounces. I personally don’t like spinach in my soups, but if you do, then just add it in right before you add the sausage. 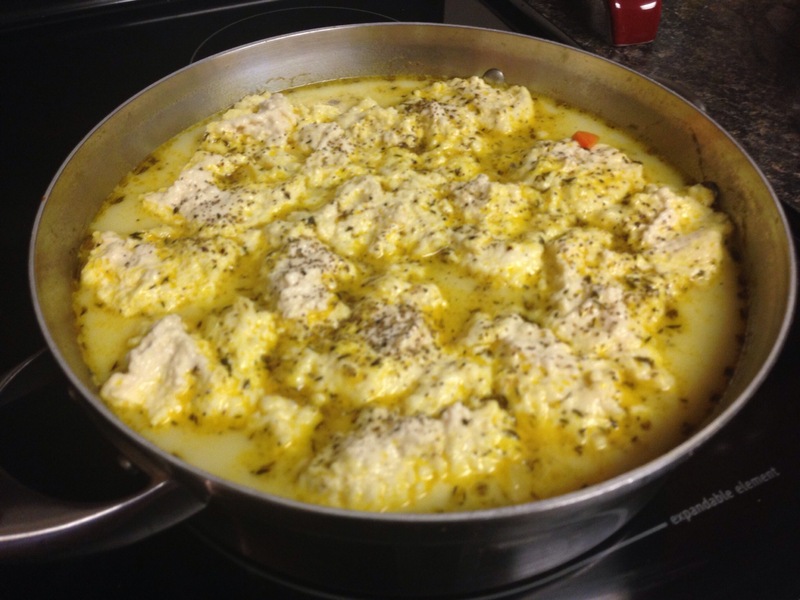 – Heat olive oil in a large skillet with tall sides. Add the sausage rounds and cook until slightly browned on both sides and cooked through. 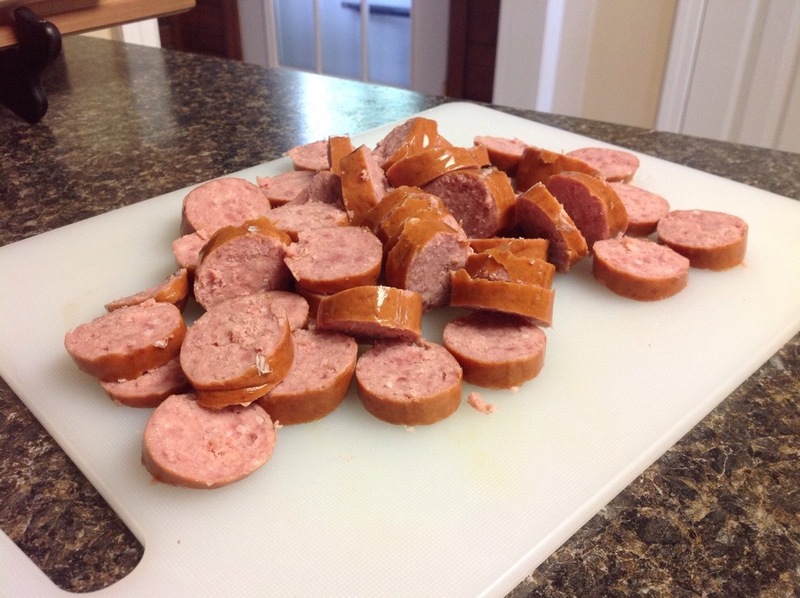 Remove sausage to a paper towel lined plate to sop up the excess grease. 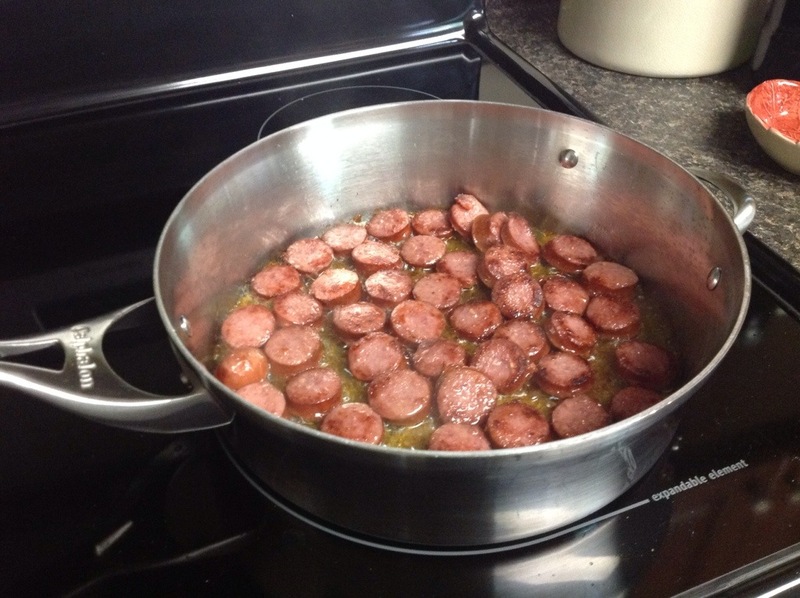 Drain most of the grease from the sausage out of the pan, reserving just a little bit. Add the diced onion and the minced garlic to the skillet and cook until the onions are softened and have a nice color on them, about 4- 5 minutes or so. 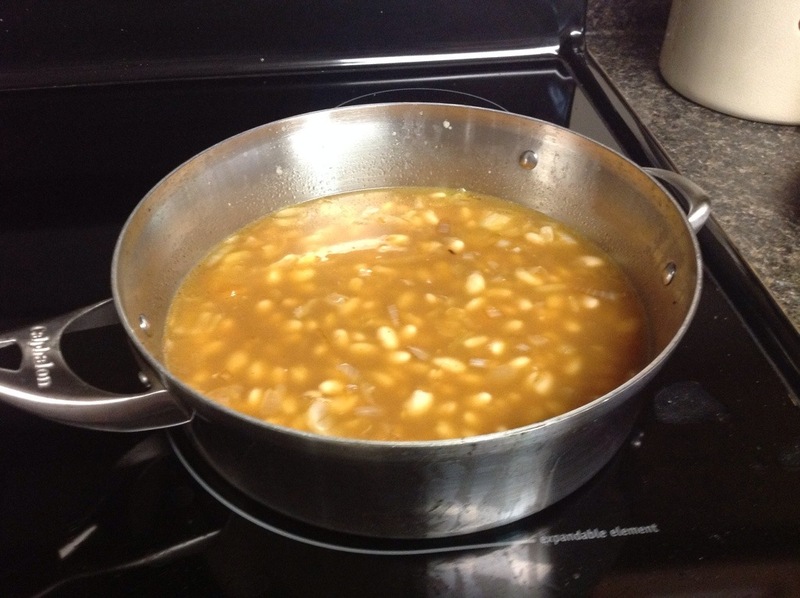 Add the beans and the chicken broth, crushing a few beans with the back of your spoon to thicken the broth. Cook on medium-low heat for about 8 minutes or until the broth has thickened a bit. Add a few dashes of paprika and pepper, and if you’re adding the spinach, add it at this time too. Fold the sausage into the soup, and serve immediately or it also makes fabulous leftovers. Serve with cornbread muffins topped with a large pat of butter and some honey! 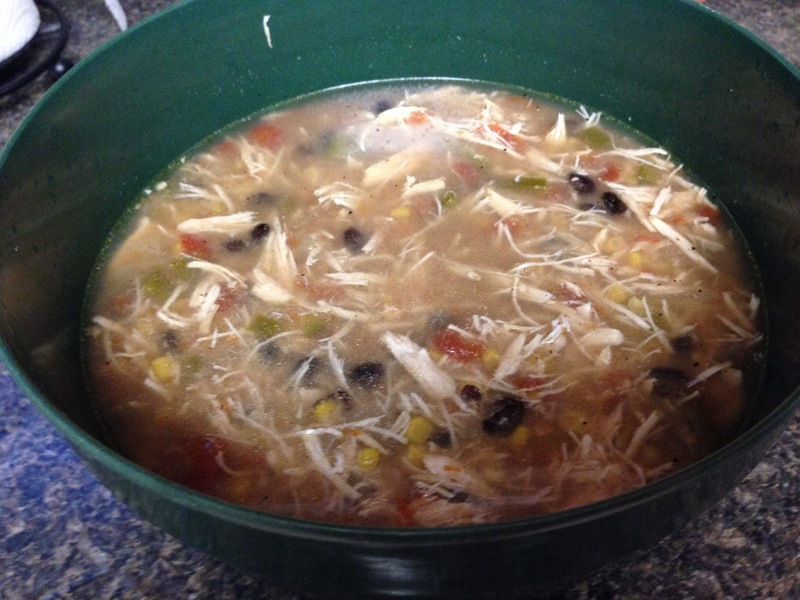 I’d never made a chicken tortilla soup before, so I was a little hesitant to try my hand at it. I’ve only had it maybe twice in my life and really wasn’t sure what to expect in terms of how it was supposed to look or even taste. I just went for it though, and I was pleasantly surprised with the results! 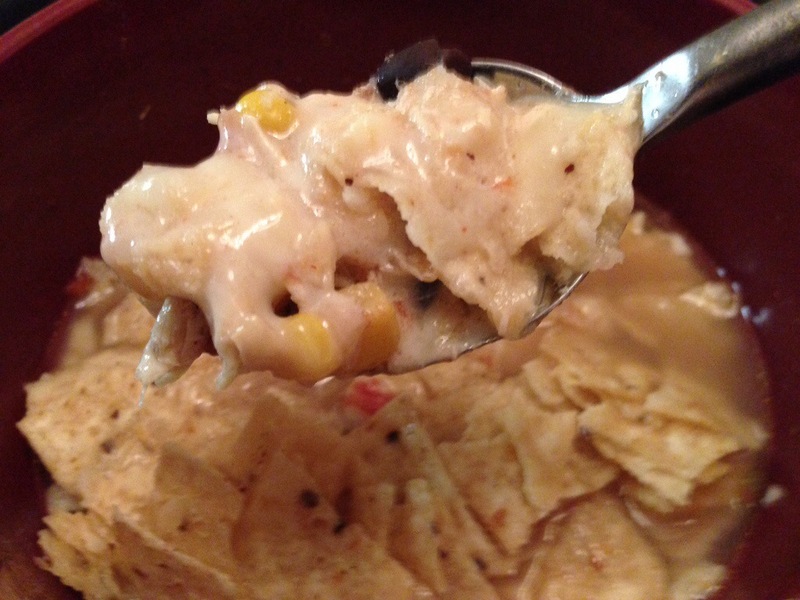 I topped it with shredded Monterey Jack and tortilla chips, and it took it to a whole other level! Will definitely be a repeat recipe, and my toddler even gobbled it up! Score! 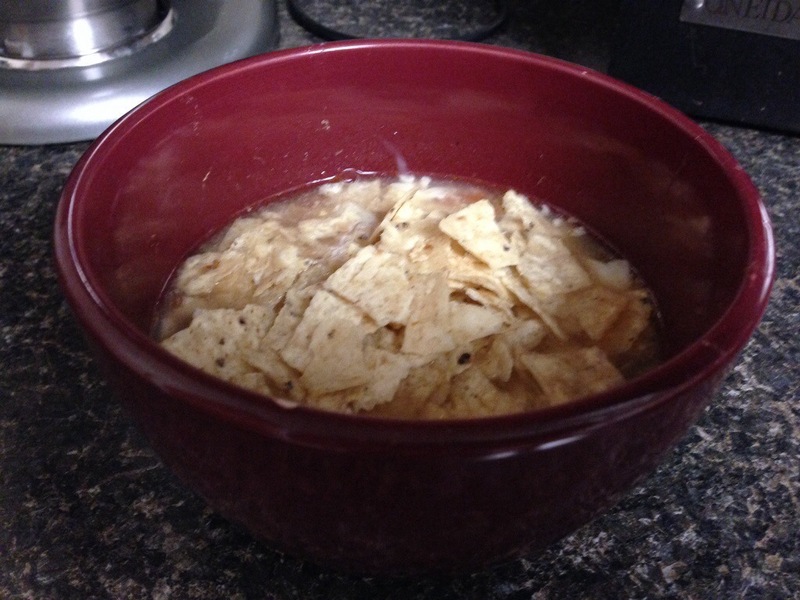 Add all of the ingredients, (except the cheese and tortilla chips), to your slow cooker. Cook on high for 4 hours, or on low for 8 hours. 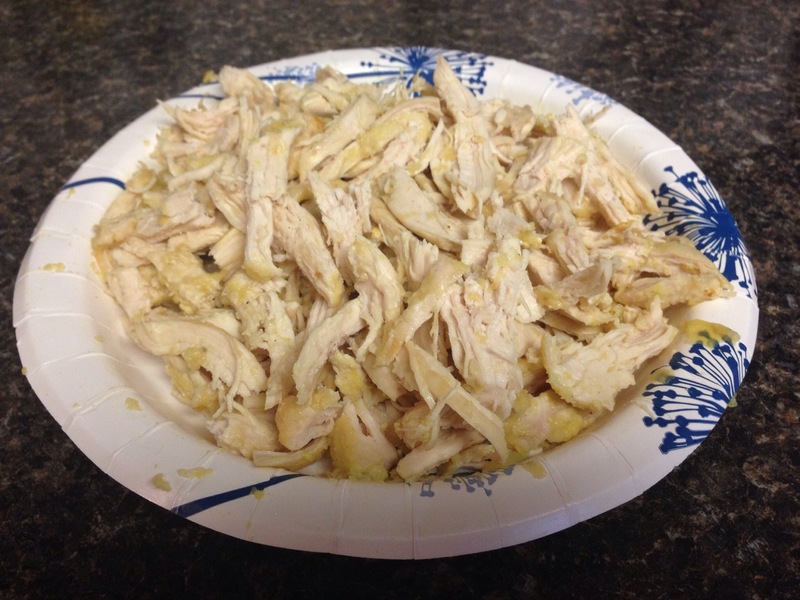 Before serving, remove the chicken breasts and shred the meat. It should basically be filling apart at this point. Once shredded, add back to the slow cooker. Taste your soup, and adjust the seasonings at this point. 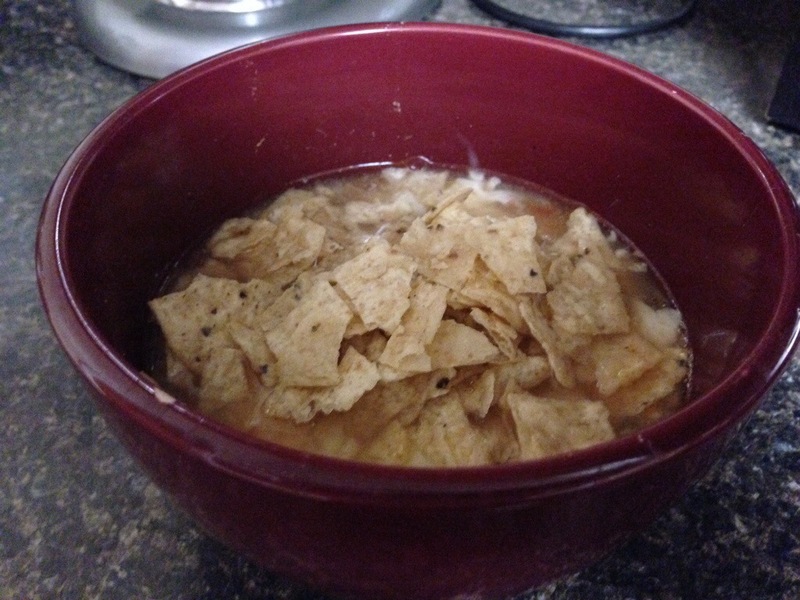 Serve with shredded Monterey Jack and the crushed tortilla chips. Delicious! I had the leftover turkey carcass from Christmas sitting in my fridge, so I decided to make soup with it. This was actually my first time making a stock from the bones, but I think it came out pretty well and the house smelled so divine! 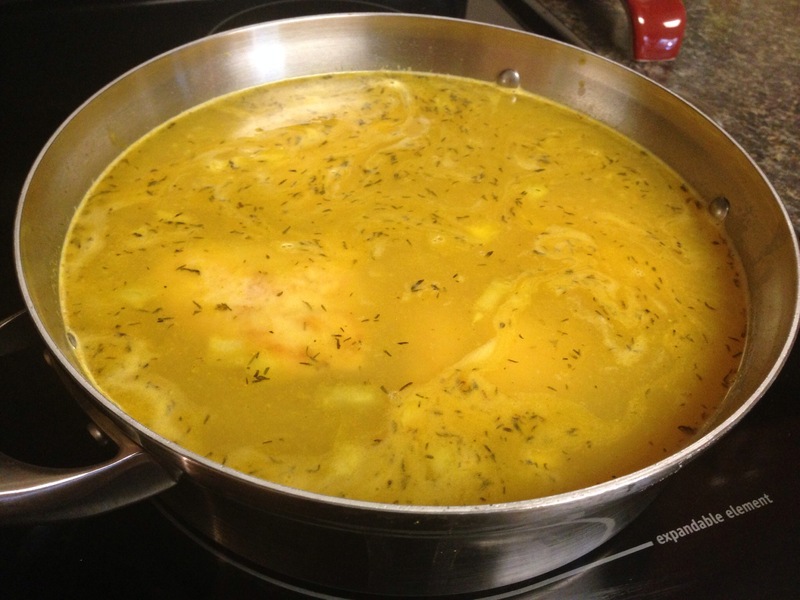 Depending on what meat you use in your soup, will make a difference in how rich it is, because of the fat content. I had a lot of dark meat leftover, so my soup tasted richer and heartier. I imagine it would be a bit lighter if you only used the white meat. Normally I’m more of a fan of the light meat, but dark is what I had, and you really can’t tell the difference much in a soup. 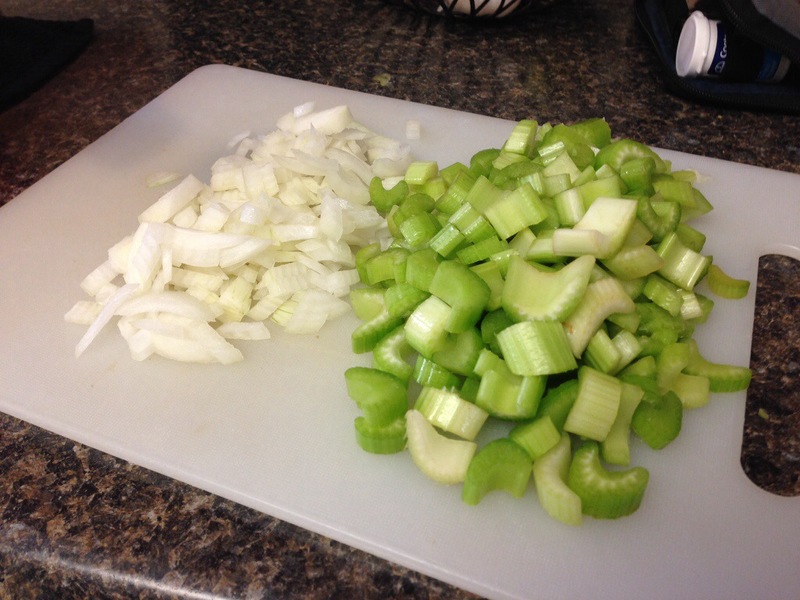 – celery, carrots, onion, or any other vegetables you want for added flavor. 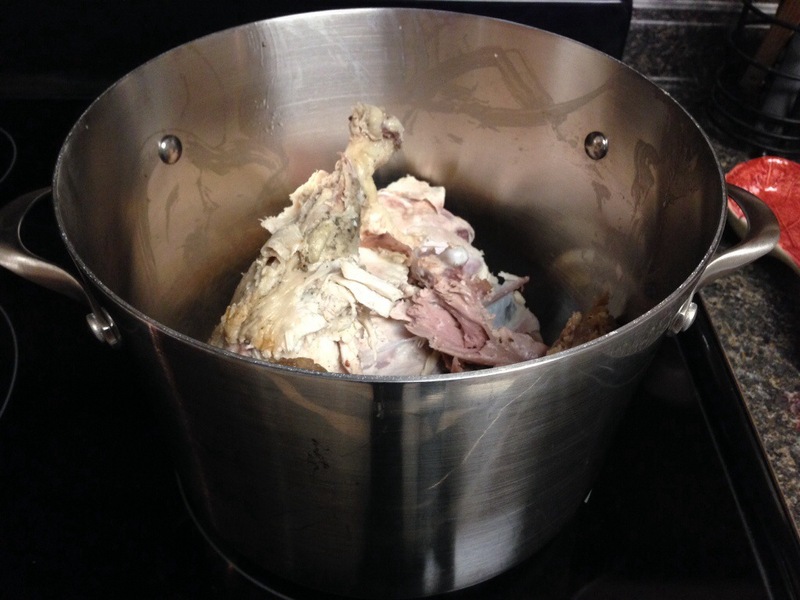 Begin by breaking up your carcass to fit in your stockpot. Give your vegetables a rough chop and throw them in the pot. You won’t be using these vegetables in your soup, so they don’t have to be pretty. Add in your garlic, and the water. Turn your pot to low, cover, and let cook for 4 hours. Once the time is up get a large bowl and set a colander on top of it. 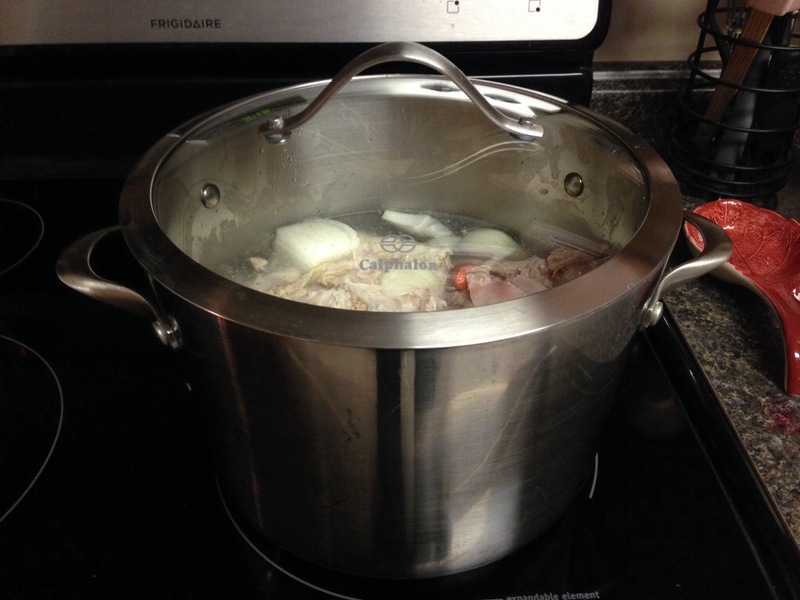 Drain the contents from your stockpot into the big bowl, only reserving the liquid. Let cool completely and then refrigerate. 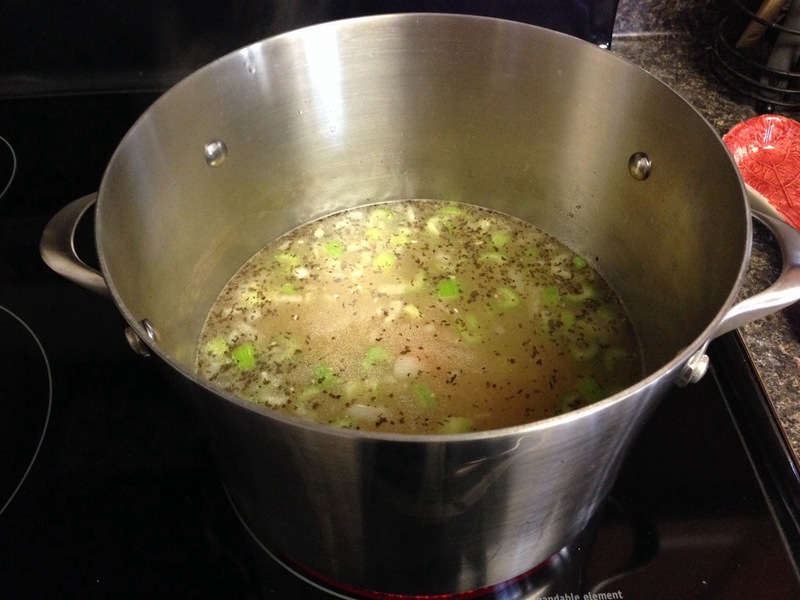 – basil, celery seed, salt, and pepper and any other seasonings of your choice. I like this combination, the basil gives it a slightly sweet note. 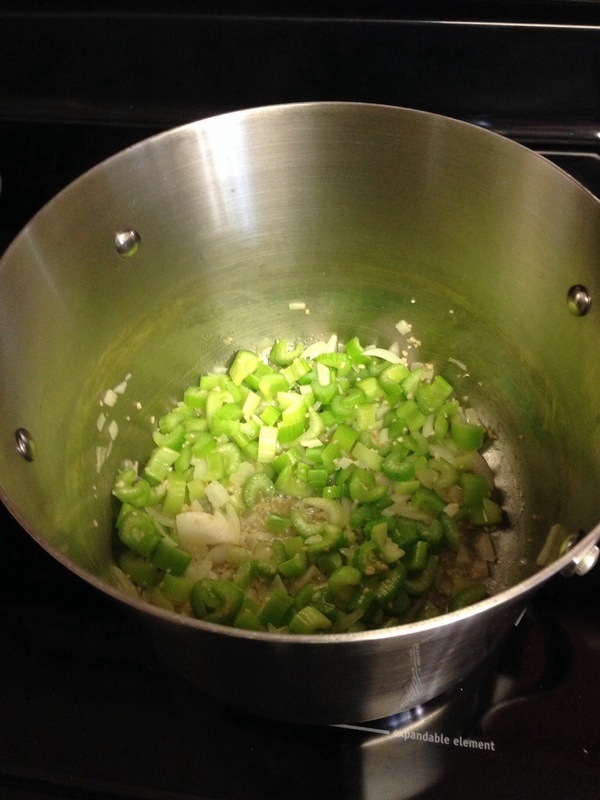 In a large stockpot, melt the butter and add in the onion and celery. 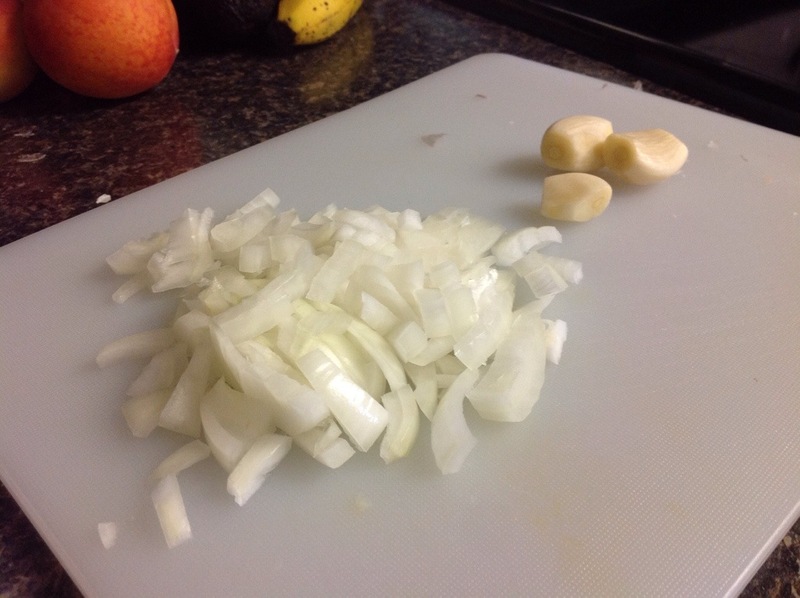 Sauté the vegetables until the onions are translucent, but not brown. 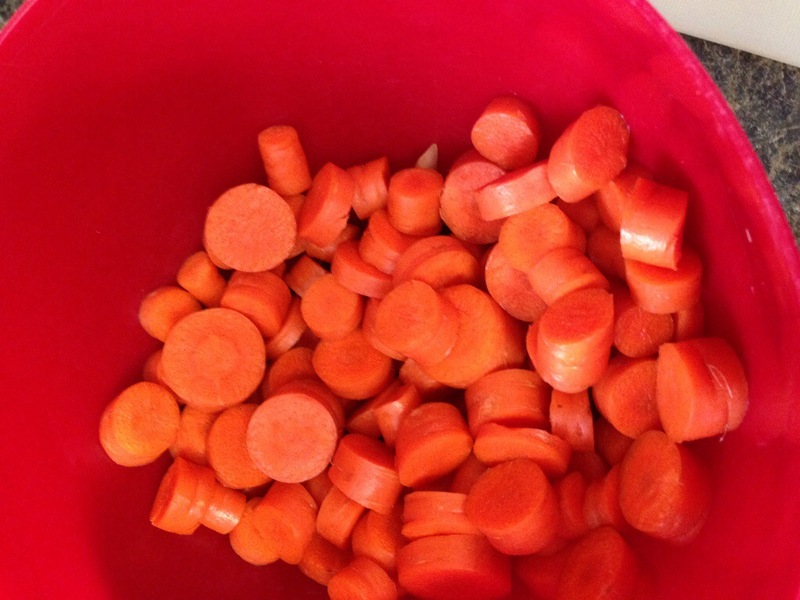 Add in the turkey stock and the carrots. 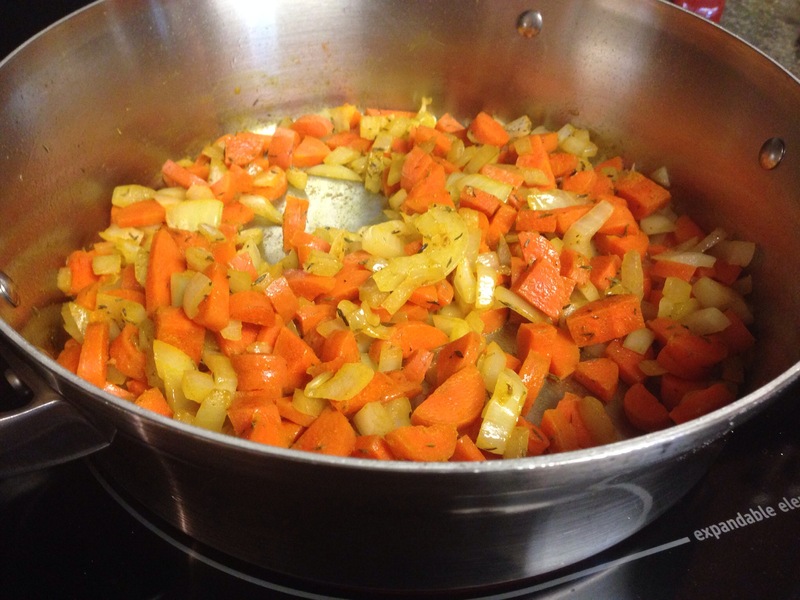 Cook until the carrots are slightly tender. Add in the seasonings that you want and adjust to taste. Finish by adding the noodles and the turkey. Cook until the noodles are tender. 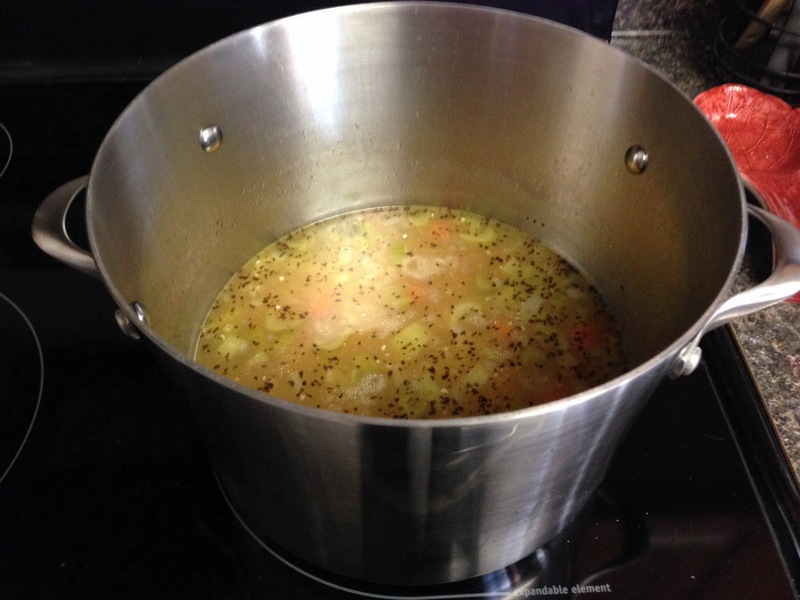 Let soup cool to room temperature and then refrigerate, or serve immediately. 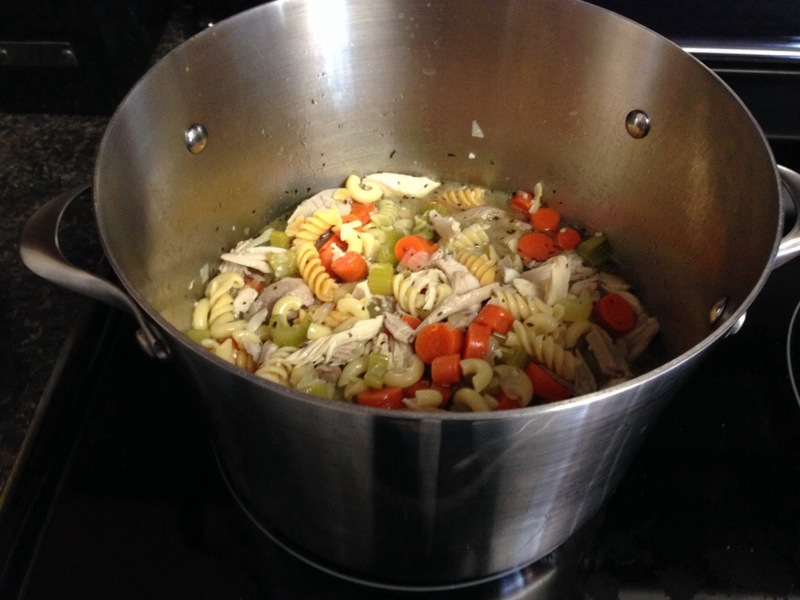 I love homemade chicken noodle soup, such a comfort food and perfect for Fall and Winter! 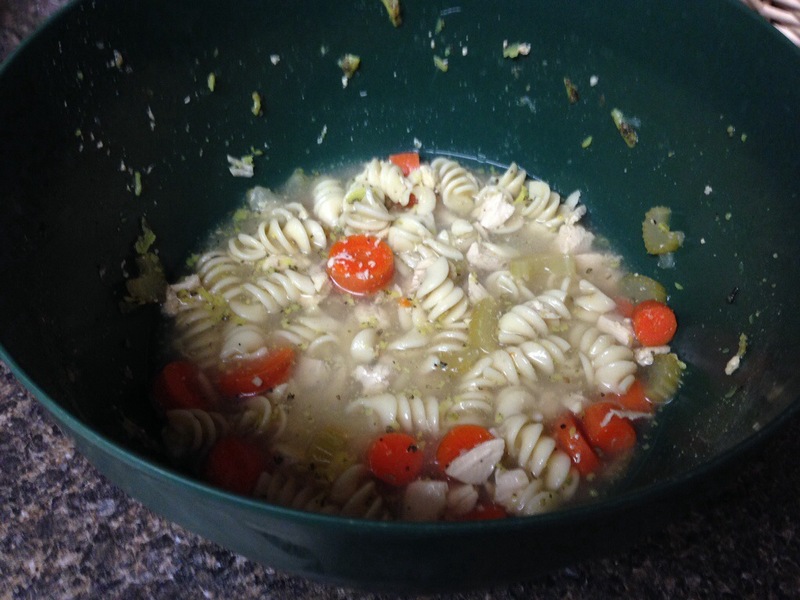 I used to make my chicken noodle in the crockpot and that was good, however I think I like making it on the stove more. 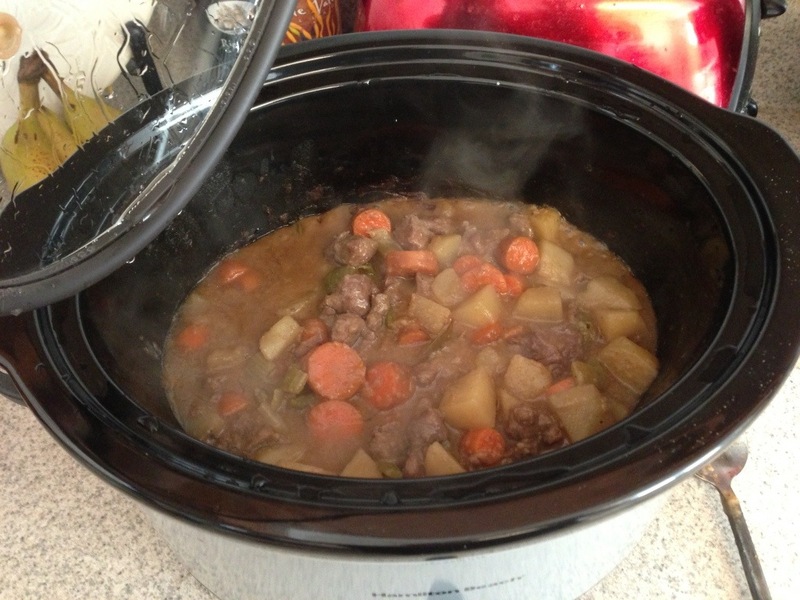 It saves a lot of time and I feel like I can adjust the cooking time easier than if it were in the crockpot. 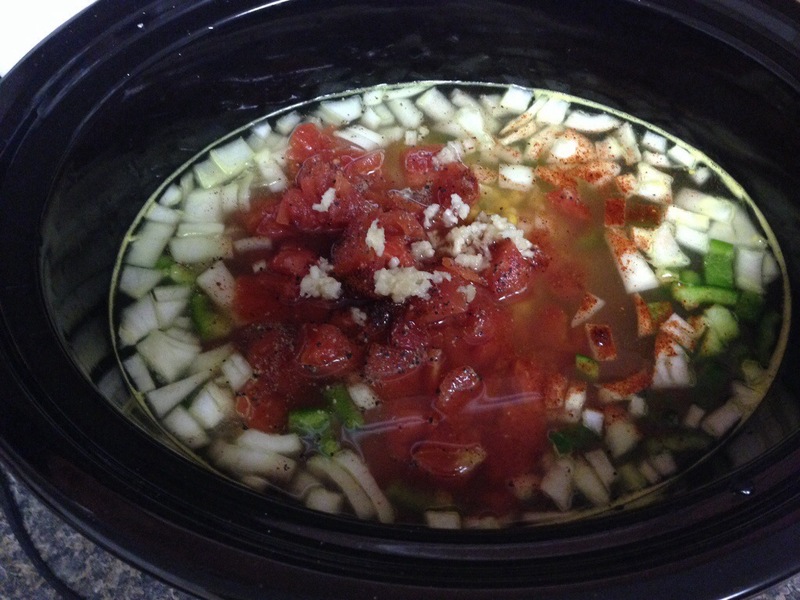 This soup is done in under three hours vs. 6+ in a crockpot. 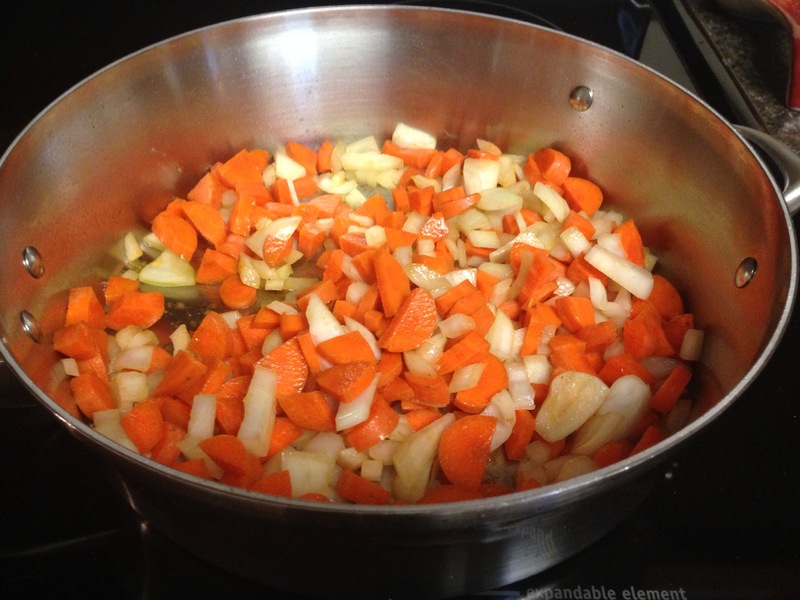 Chop up the onion, celery, carrots, and garlic. 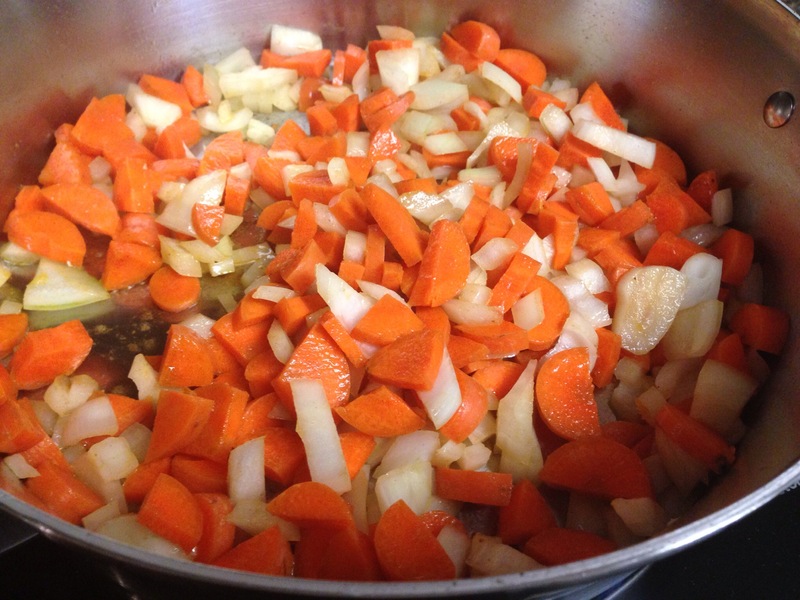 In a large stockpot, melt the butter and add all the veggies (and garlic), except the carrots. We will add those in towards the end so they don’t turn to mush. Sauté the vegetables until the onions are translucent, but not brown, 5 minutes or so. Add the whole chicken breasts to the pot, along with all the broth. Cover and bring to a boil. 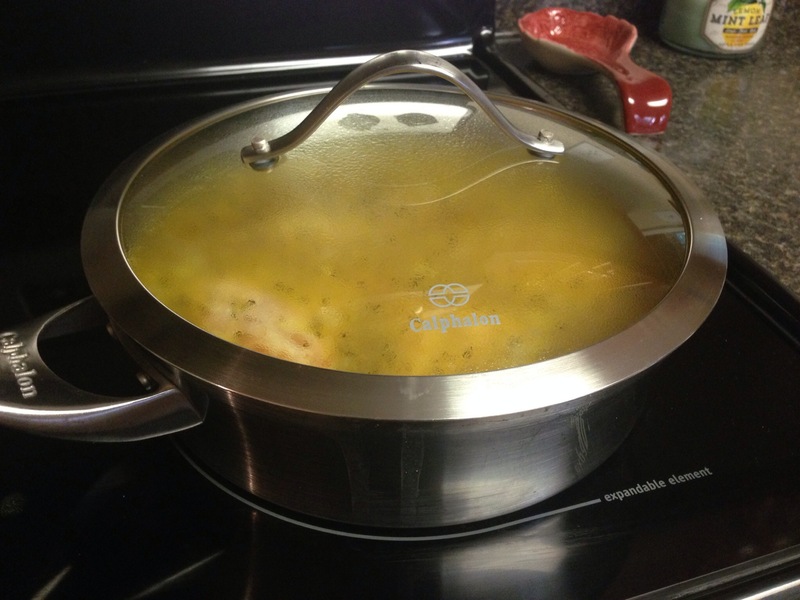 Reduce the heat once it’s boiling, and simmer for about 30 minutes or until the chicken is cooked through. 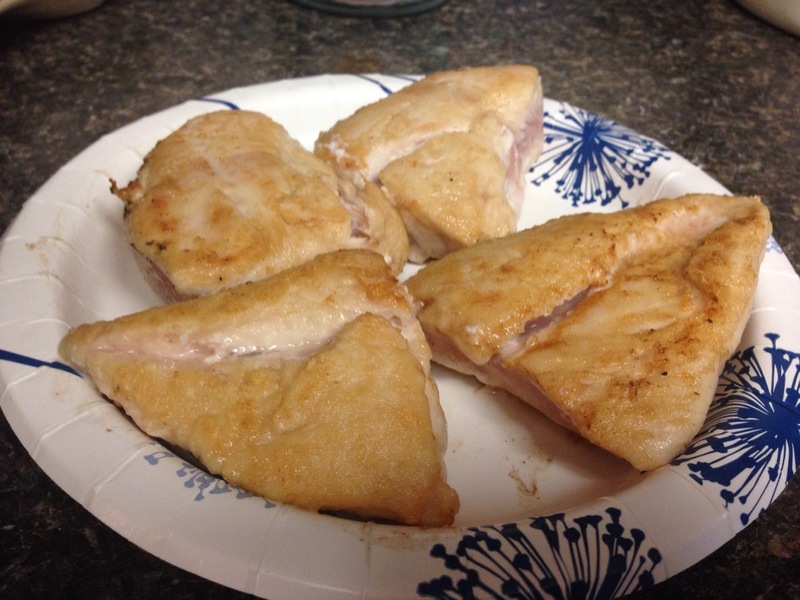 Remove the chicken breasts and set aside. Add the carrots, and your spices, and increase the heat to medium. Shred the chicken. 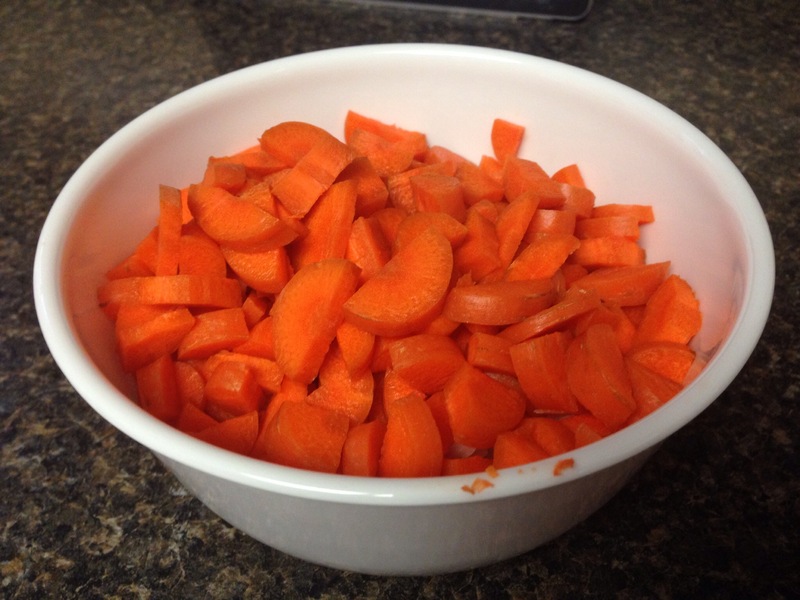 Once the carrots have cooked for about 10 minutes and are a little softer, add the noodles. Reduce the heat to a simmer and simmer uncovered until the noodles are tender. Add back in the chicken, and finally taste and adjust the seasonings as needed. I apologize I don’t have more pictures. I totally forgot to document my steps yesterday, this is a picture from the day after. The soup has been in the fridge and as you can see there’s not much left! Enjoy! Place the flour and seasoning salt into a gallon size resealable bag. Place your stew meat into the bag, seal it up and shake, shake, shake! 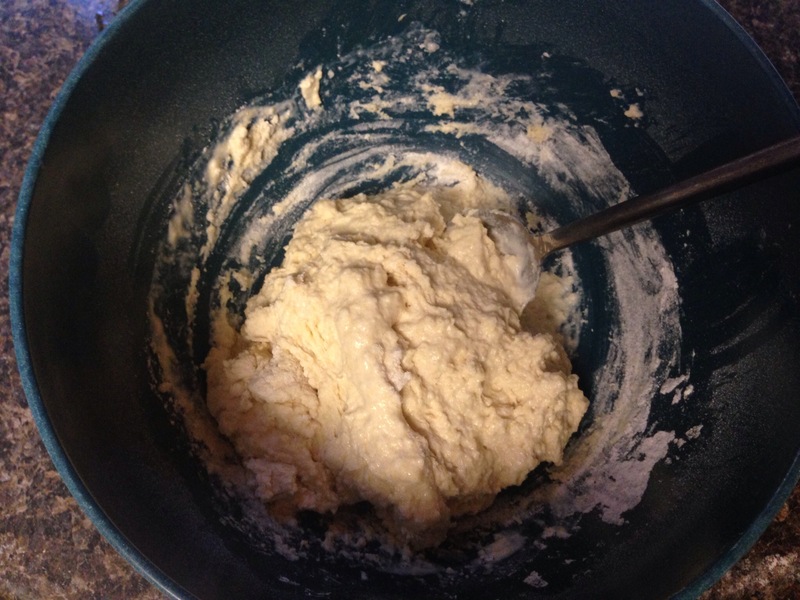 Shake until each piece is evenly coated with your flour mixture. Heat the olive oil in a large sized skillet, once the oil is hot add your floured stew meat to the pan and brown on all sides. Remove using a slotted spoon or tongs, and place in the bottom of your slow cooker. Season the meat with pepper. 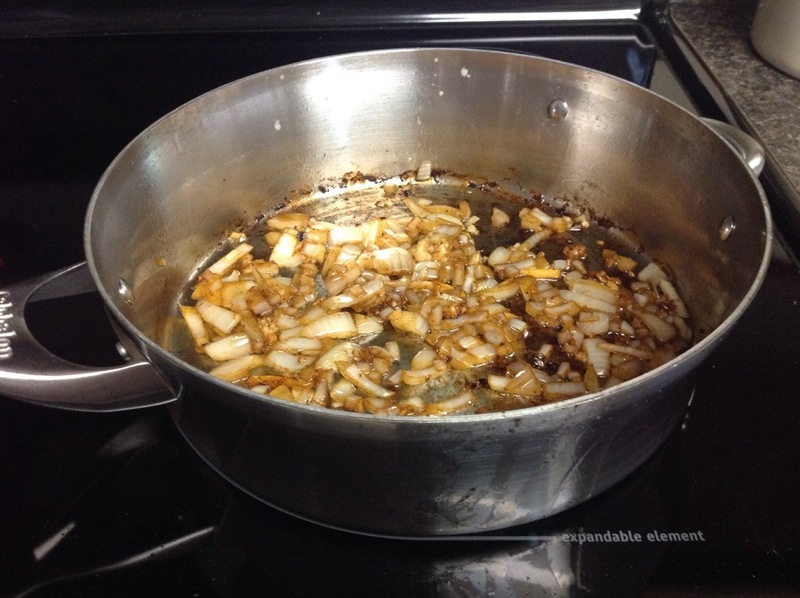 Sauté the diced onion in the same skillet for two minutes, you may need to add a bit more oil or some butter. Don’t worry about cleaning the skillet out in between, you actually want to leave it “dirty”, since it will be added flavor! 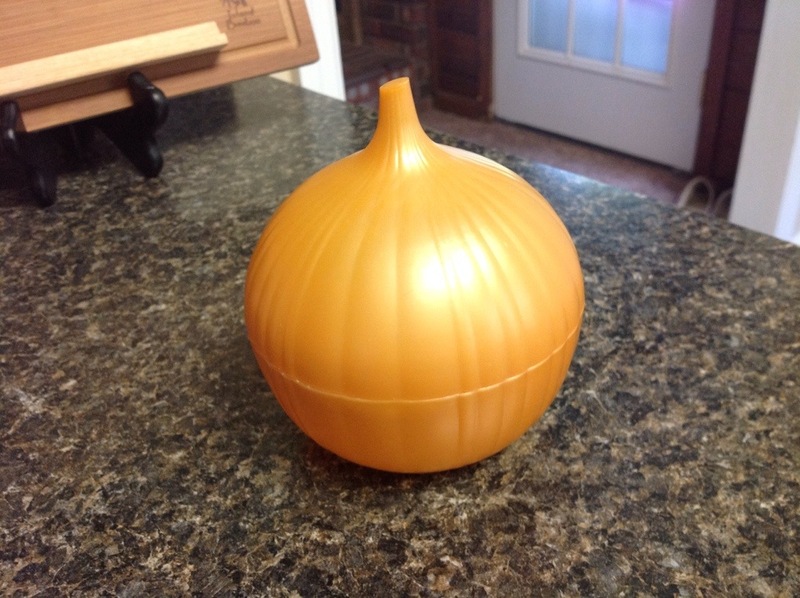 Transfer the onions to the slow cooker and place on top of the seasoned stew meat. 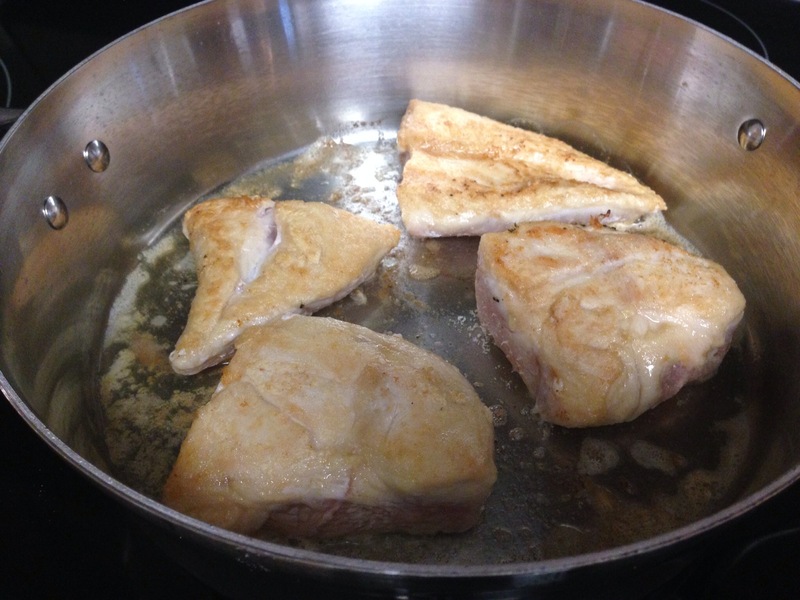 Pour in the Worcestershire sauce, the flavor boost, and the water into the same pan and whisk on low heat, scraping the browned bits off the bottom of the pan. Turn off the heat and set aside.